From mega-chains to tiny mom-and-pop paint stores to online retailers, there’s no shortage of businesses available to sell you paint. We know the choices can be a little overwhelming, so allow us to recommend visiting the professionals at independently owned and operated Centro Paint & Décor for help with your next painting project. We Don’t Use GimmicksBecause we don’t need them! As a small, local business, we rely on good old-fashioned word-of-mouth and trust building with our valued customers to generate buzz. Slick marketing campaigns can never compare to great customer service and unparalleled expertise. We’re Locals, Just Like YouThere’s something to be said for the home team advantage. We too live and work in the King City, Thornhill, Vaughan, Woodbridge, and Maple areas, and our business was built from the top down to fill the specific needs of our community. 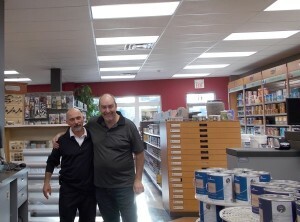 We Offer Personalized ServiceWhile salespeople at huge paint stores see you as just another face in the crowd, our colour consultants at Centro Paint & Décor see you as a peer, a neighbour, and a friend. From the moment you step into our store, you will receive personalized service that helps you with every step of your painting project from beginning to end. We Are Painting ProsAt Centro Paint & Décor, we are here because we love colour, design, and the transformative power of paint. That means that all of our in-store colour consultants are paint experts first and foremost, not salespeople, who are specially trained in choosing and using our products. We’re eager to assist you select the best paint to help you realize your home’s full design potential. But We’re About More Than PaintBeyond paint, our team also offers other wall coverings such as wallpaper and reflective and writable surfaces. We’re dedicated to helping you to create the home you’ve always wanted through a variety of design techniques. We Carry Only High-Quality ProductsOur extensive line of Benjamin Moore paints and designed wall coverings is carefully chosen for its superior quality and long-lasting performance. We know, because we’ve tried, tested, and used them ourselves! Still not convinced that Centro Paint & Décor is the right paint store for you? Don’t take our word for it. Come see for yourselves at our Maple location today. Do You Know How Different Colours Affect a Room? Our Color Consultants Do! 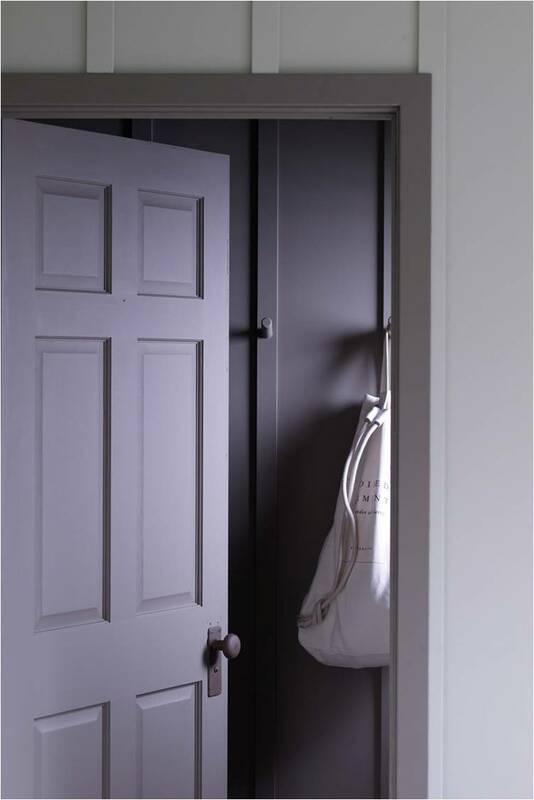 The right paint colour can make or break a room. Colours lend a room a particular atmosphere, brighten it, or emphasize certain features, but can also easily clash with a room’s palette, make a room seem claustrophobic, or seriously date it. Repainting is an easy, low-cost way to immediately transform a room, but choosing the wrong colour won’t give you the end result you’re hoping for. Our colour consultants from our paint store that serves King City, Thornhill, Vaughan, Woodbrdige, and Maple are here to help. Enlarge and BrightenMaybe you have a particularly small room or just want to create the illusion of more space when entertaining guests. Either way, pale colours that reflect light such as white, cream, pastels, or cool colours on walls, ceilings, and trims and monochromatic palettes are a great way to expand space. Create Cozy CranniesAlternatively, too-large spaces or rooms like bedrooms or dens can be made to feel more intimate with warm, red-tinged colours for walls and a dark ceiling colour. Our colour consultants also recommend using high contrast to lower the volume and up the drama. Rest and RelaxSure, homes are great for large family gatherings and get-togethers with old friends, but one of the best things about them is that they’re a retreat from the outside world into a get-away that’s (mostly) your own. Create a tranquil, hide-out space in your home by using soft or muted tones such as greys or blues. Add EnergyPlayrooms or children’s rooms often demand the high energy of vivid shades, often in your kid’s favourite colour. Try to save the brightest tones for accents only as some colours can be too disruptive at night or homework time. And to Finish…Often, homeowners are so overwhelmed by the literally thousands of colour choices available to them, that other paint features, like finishes, don’t even begin to factor in. In truth, different finishes add texture and life to a room when used correctly. Using a matte finish on walls and a satin finish on a trim in the same colour, for example, gives rooms a put-together look without overwhelming the senses. For more advice from our expert colour consultants on finding the best paint for your home, get personalized service at the Centro Paint store. Painting is a great way to breathe new life into your home. 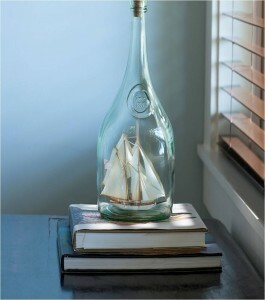 It transforms a room by creating atmosphere, playing up favourite features, and updating it for the contemporary home. As one of the best, low-cost home decorating solutions, many homeowners eagerly throw themselves into a DIY painting project without realizing how difficult it can really be. Avoid all-too-common painting mishaps by following a few simple tips from our expert Benjamin Moore colour consultants. Start with SandingThe key to a flawless paint job is sanding down the walls before using primer or paint. It’s an excellent preventative measure for ensuring a smooth result without having to go back and fix mistakes later. Clean Your Walls FirstWash every part of your walls and ceilings before putting on primer or paint. Paint sticks better to clean surfaces while painting dirty and oily walls leads to chipping and peeling. Use Tinted PrimerFor a beautiful, vivid end result and fewer coats of paint, go with a tinted primer that’s similar to your final colour rather than a white primer. Avoid Lap MarksUnsightly lap marks mar your walls, leaving ugly stripes that last until you paint again. To avoid them, make sure to keep a wet edge by moving over only slightly with each roller stroke and never letting your roller become dry. Paint on Dry DaysPaint doesn’t stick as well in high humidity. For optimal results and faster drying, paint on a day with 50% humidity or less. Use Canvas ClothsNever use plastic or linen drop cloths to protect your floor from drips. Canvas drop cloths aren’t slippery and are absorbent enough to not let any paint leak through to your floor below, even from large spills. For more help with choosing and using the best Benjamin Moore paint for your King City, Thornhill, Vaughan, Woodbridge, or Maple home, stop by Centro Paint Store in Maple. The customer service representatives at your local paint store should be more than just salespeople, they should also be design experts and colour consultants, eager to give you the best possible personalized advice about the perfect paint for your home. Before you make any final paint purchases, however, be sure to make use of the colour consultants’ expertise by asking them a few essential questions. How Do I Know I Have the Perfect Colour?Choosing a paint colour requires balancing the mood you want to create, your personal aesthetic, and the right complement for your home’s features. The thousands of swatches at the paint store can be more overwhelming than helpful when you don’t know where to start. Paint experts are adept at distinguishing between subtle differences in hues and finding colours that look great together. How Do I Find a Painting Contractor?Although homeowners are increasingly going the DIY route when painting their interiors, hiring a painting professional guarantees a beautiful, high-quality result. Paint store employees should have contact information for several trusted and reputable painting contractors. Which Painting Tools Should I use?While you should always use paintbrushes and rollers of the highest quality for the best results, the recommended type and size of these tools varies widely depending on the type of surface, surface size, and type of paint. Can I Have Step-by-Step Painting Instructions?If you’ve never painted before, it can be a daunting proposition. It’s important to seek guidance from professionals who know their paint brand and understand a bit about your situation, rather than getting a one-size-fits-all approach from the Internet. Looking for a paint store in the King City, Thornhill, Vaughan, Woodbridge, or Maple area? Stop by Centro Paint for a personalized paint consultation. If you’re like many homeowners, you’ve stepped into a mega-sized paint store and been immediately overwhelmed by all of the options — thousands of blues, whites, greys, and pinks available at your fingertips. Our colour consultants have helped thousands of customers from the King City, Thornhill, Vaughan, Woodbridge, and Maple areas to find a paint that complements their home. Here are just a few of the rules of the road for choosing the best paint for your next project. Express YourselfColours have a tremendous impact on a room’s atmosphere so think about how you want it to feel. For example, perhaps you want a cozy bedroom with warm colours, but a tranquil, cool-coloured bathroom. Colour By NumbersChoose a colour scheme by selecting three colours that you love from objects in your home. Bring these to a paint store to find swatches. Our colour consultants recommend making a decision based on the darkest shade. As long as you can live with it, you’re bound to love the lighter shades. Go with the FlowEspecially if you have a modern open-plan home, it’s essential for colours to flow from one room to the next for a cohesive look. Always start with a colour you love and look for similar shades to carry over into other rooms, even if just through accent colours. Pump It UpColour is an ideal way to enhance features you love or downplay those you don’t. Think about what you want to pop – a fireplace, trims, windows – and choose a contrasting or vivid colour to create a focal point. Conversely, hide elements you don’t want to be seen by blending them with a low-contrast or flat colour. Try This at HomeDon’t just eyeball colours in a paint store. Try sampling them on a few different walls of a room. Make sure you check them at all hours of the day and evening, and in different light conditions to get a fuller understanding of how the colour affects your room. Trust Your IntuitionThe best way to know if a colour will fit your room is to listen to how the room makes you feel. Record your thoughts and reactions to each colour before making a final decision.Still stuck on which paint colour is best for your home? Ask our in-store colour consultants for an individualized look at your home. Paint hues, shades, finishes, brands – choosing a new paint for your home requires a lot of careful thinking and consideration. Luckily, with online reviews, consumer reports, and the help of your trusty local paint store, it’s easier than ever to choose the best paint brand on the market. Here are just a few of the reasons our expert colour consultants recommend using superior Benjamin Moore paint for all of your painting projects. Benjamin Moore Offers Unparalleled VarietyBenjamin Moore’s extensive selection features more than 3,400 colours, and they are constantly updating their colour offerings to include fresh, stylish, and modern choices. Benjamin Moore Paints Are Vivid and BeautifulPaint is composed of three elements: solvents, pigments, and resins. Many paints rely on using a lot of solvents to dilute their paints, leading to lower costs and lower quality. Benjamin Moore contains a high concentration of pigments and resins with more vivid hues and striking tones than competing brands. Benjamin Moore Paints are Easy to ApplyHigh-quality paint means concentrated higher-grade resins that will cover your surface with only one coat. With Benjamin Moore paint, our premium Aura line will never require more than two coats of paint, even over old finishes or bare wood without primer coats. Benjamin Moore Paints are Long LastingEven Benjamin Moore’s interior paints are designed with both beauty and durability in mind. Their paints survive the inevitable wear-and-tear of daily living without stains or chipping. Even their light shades are easy to clean and maintain. Benjamin Moore Paints Contribute to Greener, Healthier AirUnlike other paint brands, Benjamin Moore never uses volatile organic compounds (VOCs) in their tints. VOCs are known to contribute to air pollution and respiratory issues and are increasingly facing stricter regulations. 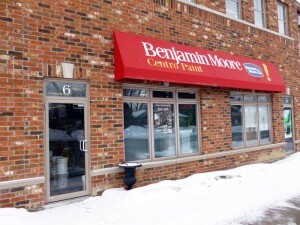 Benjamin Moore Paints Are Not Sold at Mega-Chain StoresIn their dedication to only the highest-quality customer service, Benjamin Moore restricts its sales to small, independently owned stores like Centro Paint & Décor. As a result of the personalized shopping customers experience at small businesses, they are consistently rated to have the highest customer satisfaction in the industry. Looking for a place to pick up Benjamin Moore paint in the King City, Thornhill, Vaughan, Woodbridge, or Maple areas? Stop by Centro Paint & Décor in Maple for an in-store consultation with our paint experts. Start making your home decoration plans now with Colour Trends 2014, Benjamin Moore’s free colour forecast for the coming year. As colour rarely exists in isolation, we have designed a palette of 23 colours that work well together. This palette is a reaction to all the colour cues that we have noticed popping up in the home furnishing industry… textiles, carpets, wallpapers, tabletops and pottery, as well as colour schemes that emerge in landscape design, the auto industry, fashion, and graphics. As colour rarely exists in isolation, we have designed a palette of 23 colours that work well together. There is an art to sequencing colour from one room to another—hallways are the arteries of the house, rooms radiate off the hallways and this palette helps the transition because the colours flow seamlessly. We’ve detected a ‘lighter touch’, hints, whispers, tints of colour. Shifts to pastels without looking too ‘candy’, too ‘Easter egg’ which is an exciting message for us, a colour company. We’ve begun to see a shift away from gray to tints of blues, greens, lavenders and pinks. Pastels, softened and filtered, to lift the spirit but not shout too loud… colors that can make a room happy, flatter your possessions and your art. We call these the new neutrals. These colours have proven to be flexible; pair Breathe of Fresh Air 806 with Van Deusen Blue HC-156, you punch up a strong blue story. Pair it with Flint AF-560 and it transitions to a more sophisticated statement, more understated. Personal expression is the best expression. We are here to make the selection easier. You want to pick a colour that is enduring, resonates and is signature to your personal style. This is What Matters. This introduction is the beginning of our colour conversation for 2014. I invite you to explore the full Colour Trends 2014 Palette and our Colour of the Year Breath of Fresh Air. Make sure the colours you pick are the colours you get.